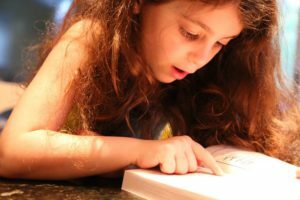 Being a skillful reader can increase your children’s self-confidence, allowing them to transition into a new dimension. Reading will improve their speech, critical thinking and creativity. Encourage your children to turn off the TV and open their books. Use these tips to transform your little ones from staring at a screen to diving into a world of words. Designate a daily reading time for your children who cannot read yet, establishing a routine of reading every day. Hopefully, this practice will continue after they can read on their own. Choose books that feature your children’s interests such as animals, planes or trains. Keep your children’s attention. Books that include activities such as sensory sections or finding the missing character will hold your little ones’ attention throughout the story. Additionally, consider acting out some of the scenes with your children to get them up and moving while keeping their attention on the storyline. Ask your children questions about what you have read to ensure the story is holding their attention. Read books aloud together when your children begin learning to read. To create a feeling of togetherness, switch readers for each page. This habit will leave your children with lasting memories of reading with their parents. What are some ways you take reading to the next level with your child?